Waiting for that "eureka" moment to transform your business? You could be waiting too long, warns Nigel Collin, who has spoken to scores of business people to better understand the real drivers of innovation and growth. 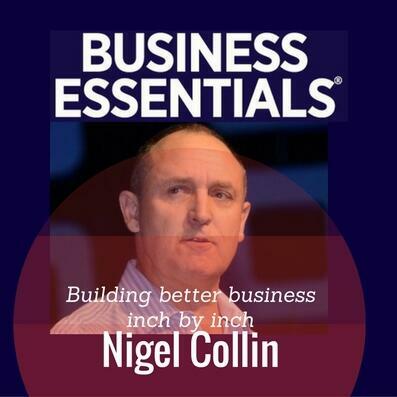 Nigel's discovered a few big truths about keeping your business moving and ahead of the pack. One key message: don't ask your people to come up with great big ideas all the time - it's hard to achieve and ends up deflating enthusiasm and ruining morale. No, says Nigel, a more effective approach is to go step-by-step and inch-by-inch. Ask for the small practical measures that'll make a difference to performance. It's what Nigel Collin calls "The Game of Inches" and he's built some useful practical steps around how to make the process work.